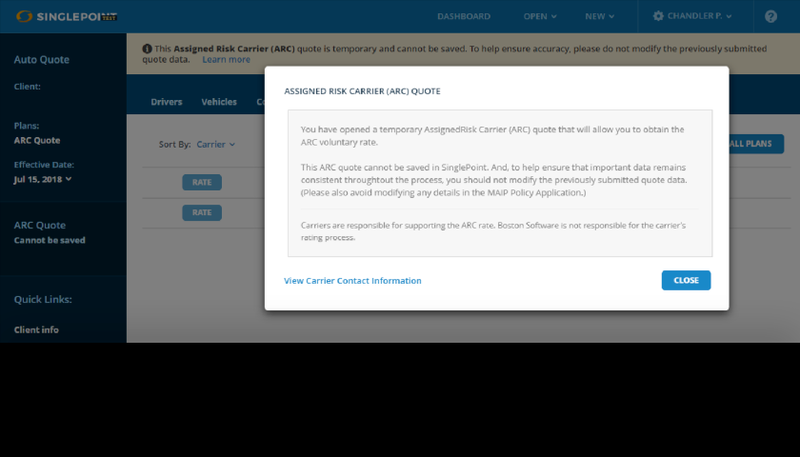 SinglePoint Auto can access the Voluntary Rates of an Assigned Risk Carrier (ARC) for MAIP assignments. Find out how this works by clicking through the slide show below. Work up a quote in SinglePoint as you normally would. 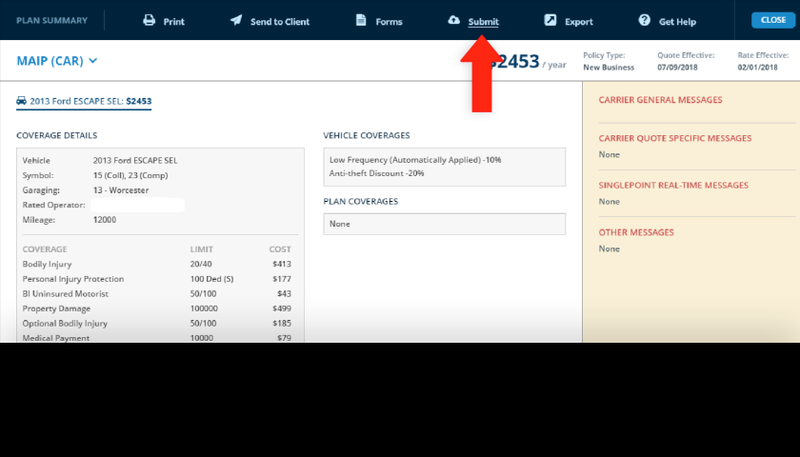 Once you determine that the business will need to be assigned through MAIP, click on the View Plan Summary button. 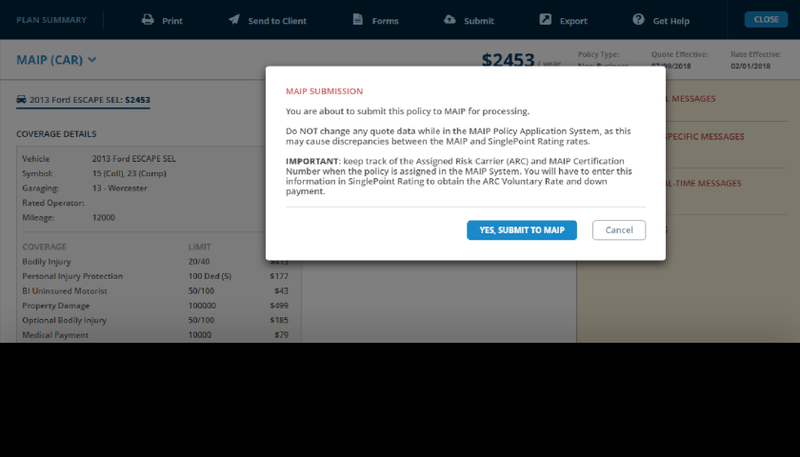 A popup box will remind you not to change any quote data while you are in the MAIP system and to keep track of the Assigned Risk Carrier name and MAIP Certification Number assigned by the MAIP system. Click Yes, Submit to MAIP. 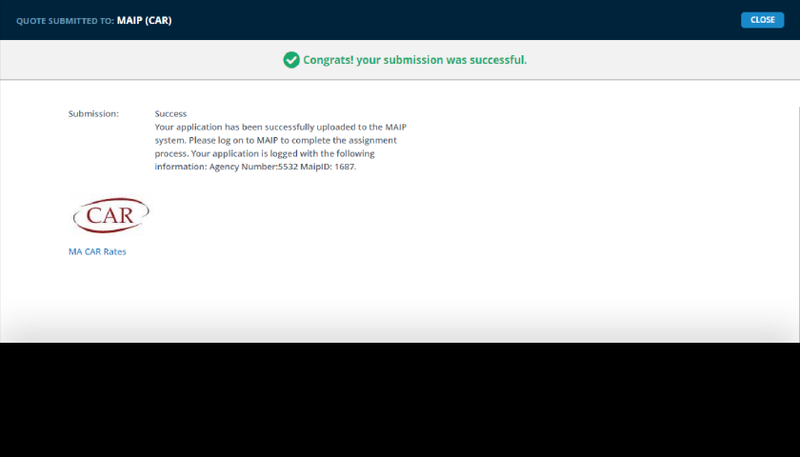 The SinglePoint Real-Time submission process will begin. You will see a series of screens. Once you have logged onto the MAIP system, follow the instructions on each screen. The last step in the MAIP process is Assignment. 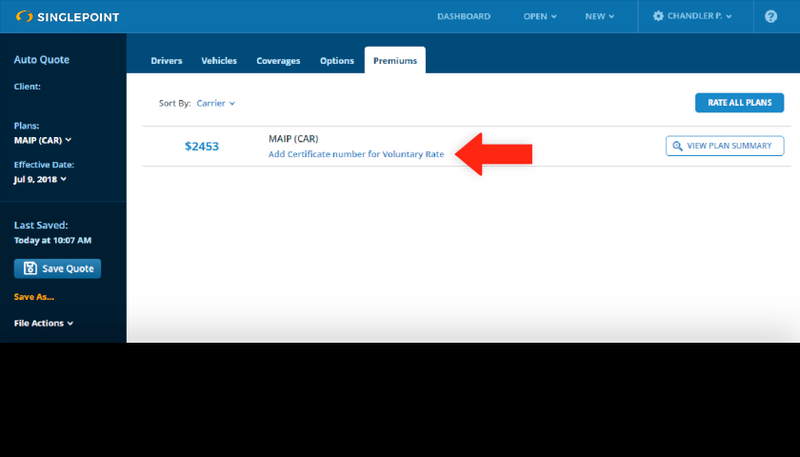 Make note of the ARC name and the MAIP Certification Number; you will need these when you go back into Singlepoint to get the voluntary rate. 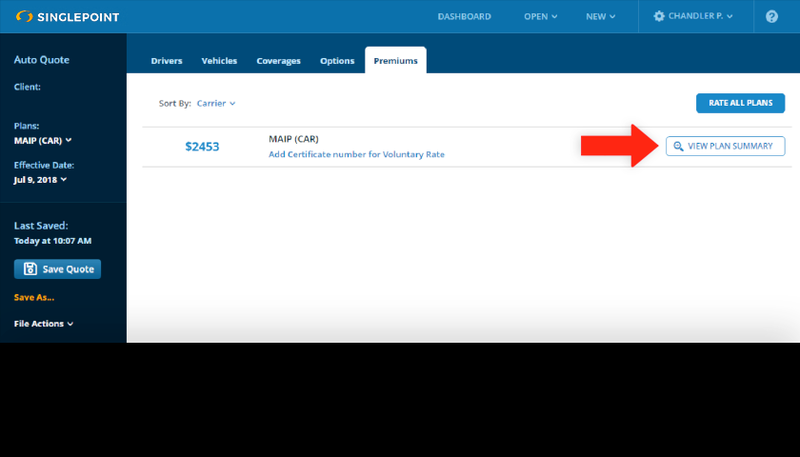 When you go back into SinglePoint, click on Add Certificate number for Voluntary Rate next to the premium for MAIP. The Obtain Arc Voluntary Rate screen will list the Assigned Risk Carriers that participate in the SinglePoint/MAIP voluntary rating solution as well as some reminders. Enter the MAIP Certification Number from the previous step where indicated, then click Go to Quote. 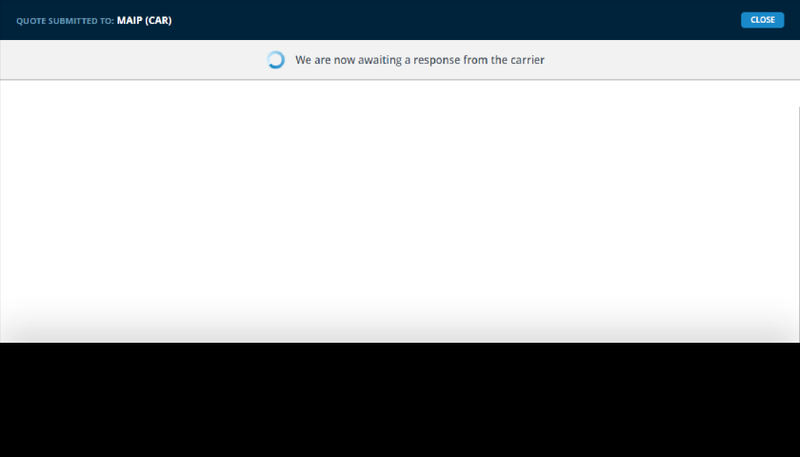 If MAIP has assigned the business to an Assigned Risk Carrier that does not participate in the SinglePoint/MAIP solution, you will see a message letting you know this. This message also will advise you to contact the carrier directly to get the voluntary rate. 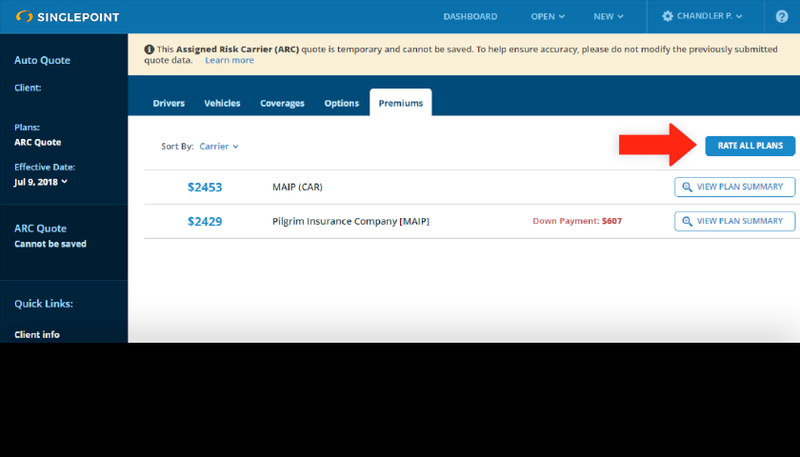 If the Assigned Risk Carrier does participate in the SinglePoint/MAIP voluntary rating solution, an assignment notification will appear. 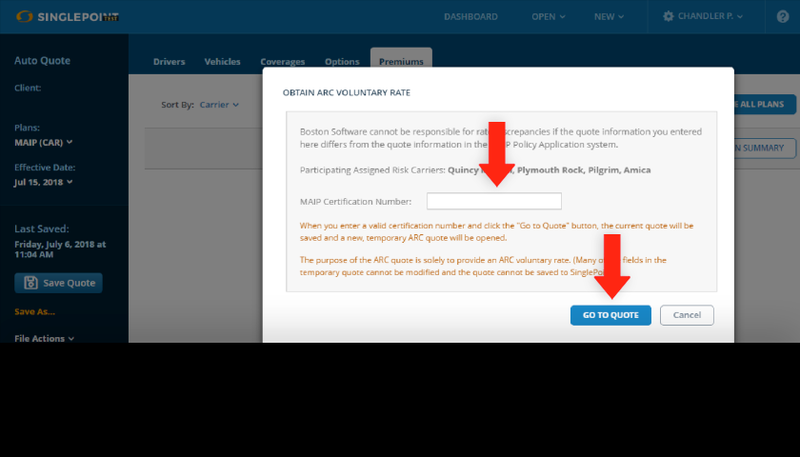 Note: you will not be able to make any changes to the coverage information because the voluntary quote data must match the original quote data. Click Rate or Rate All Plans. Your voluntary rate will appear along with the MAIP rate that was there previously. Always check the right side of the Plan Summary screen for additional information. The down payment premium for the lower rate will also display in the Premiums Panel. The carriers listed below are currently integrating with SinglePoint for MAIP Voluntary Rating. Contact information has been provided in caseyou have any questions regarding their rating process.